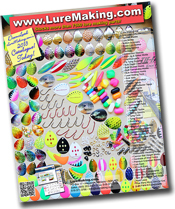 LureMaking.com has the terminal tackle you need today! Whether you are super strong musky leaders, or simply require a ultra small line tie we have it all. Check out our large selection of swivels, snaps and snap swivels to meet all of your fishing needs.